New York City might be a jungle according to many but the animals can be found in its many zoos. If you'd like to check out one or more of the many zoos in New York City I highly recommend purchasing a city pass that will allow you free admission to many of the area zoos. Keep in mind that some of the attractions inside the zoo will cost extra so you should expect to pay something for your day at the zoo(s) but every little bit you can save along the way helps and you will be surprised at how quickly you can recover the cost of your pass. The Bronx Zoo is the largest urban zoo in the U. S. and is open 365 days a year. Those that have city passes can enjoy free admission to this zoo. Once you've had your fill of the award-winning exhibits the Bronx Zoo has to offer you should check out the New York Botanical Garden, which is located nearby and offers great fun and many activities for children to avoid (this experience is another that can be enjoyed for no additional charge with the New York pass). Also nearby are Wave Hill, the Brooklyn Museum of Art, and Van Cortlandt House Museum. All of these activities are free with the New York pass and are all very much suited for family members of all ages. 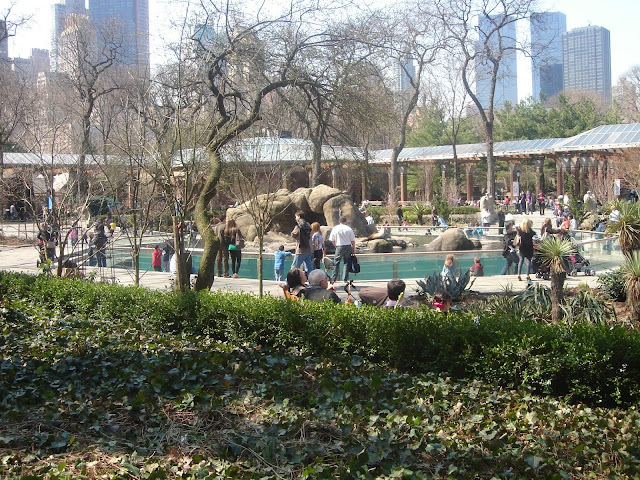 The Central Park Zoo offers a view of animals in their natural habitat rather than in cages. While this is becoming more and more of the norm as far as American zoos are concerned the Central Park Zoo was a relative pioneer in this particular process. Today the Central Park Zoo boasts an indoor rainforest; a chilled penguin house along with a pool for the polar bears while also being home to breeding programs for certain endangered species. While you're there be sure to have lunch in the Leaping Frog Café, which offers kid-friendly fare that is surprisingly health oriented (such as trans-fat-free French fries). If you walk through this 6.5-acre zoo wasn't enough exercise for your day be sure to stop by the bike rental area of Central Park, which is located nearby. Prospect Park Zoo offers a unique experience for children to have interactive contact with more animals. This increased interaction makes the trip much more enjoyable for youngsters than many larger zoos which allow little interaction with animals or a very limited number of animals to interact with. The Prospect Park Zoo hosts more than 400 animals representing over 80 species. This zoo is located near the Brooklyn Children's Museum, the Brooklyn Botanic Garden, and the Brooklyn Museum of Art-all of which allow free admission for The New York Pass holders. The Queens Zoo offers a unique experience for visitors in that it is less like a zoo and more like a prairie home for the animals it houses. This 12-acre park is home to 70 animals that live in very authentic habitats. If you choose to visit this particular zoo, be sure that you take the time to visit the barnyard area so that your little ones can feed some of the friendlier creatures. This zoo is located fairly near the Queens Museum of Art, the New York Hall of Science, and the American Museum of the Moving Image. These attractions are all free with the New York Pass.